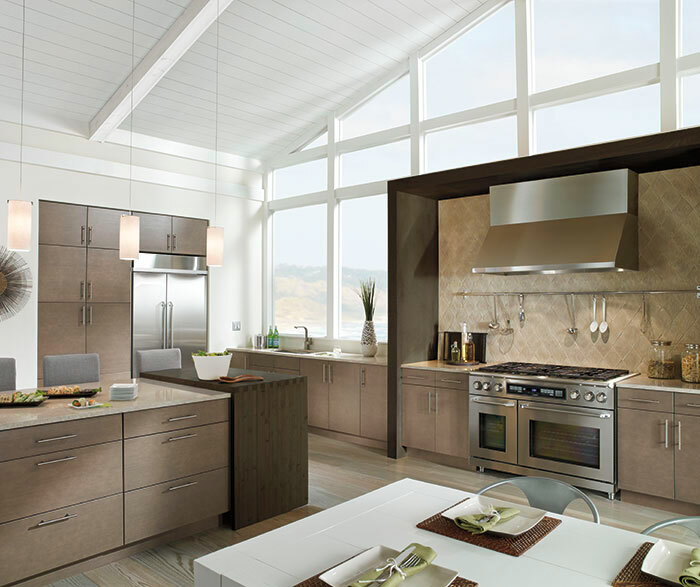 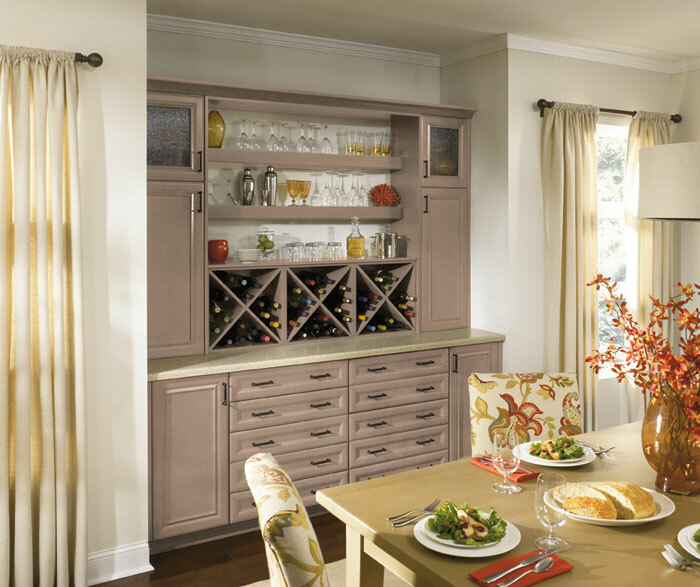 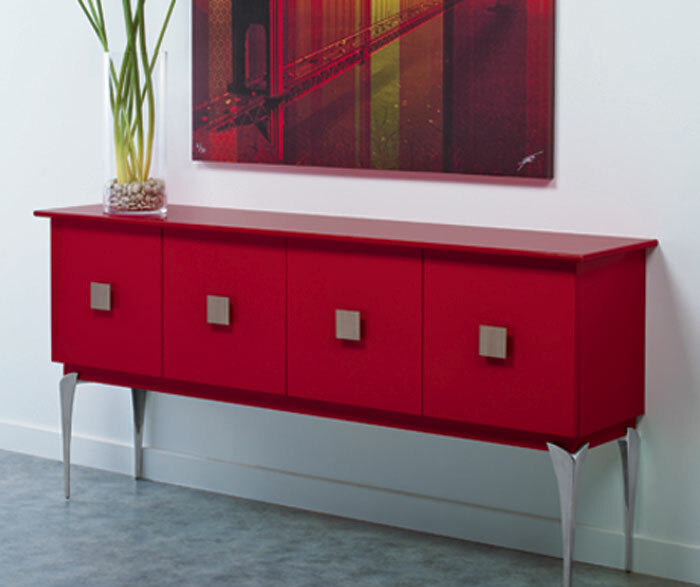 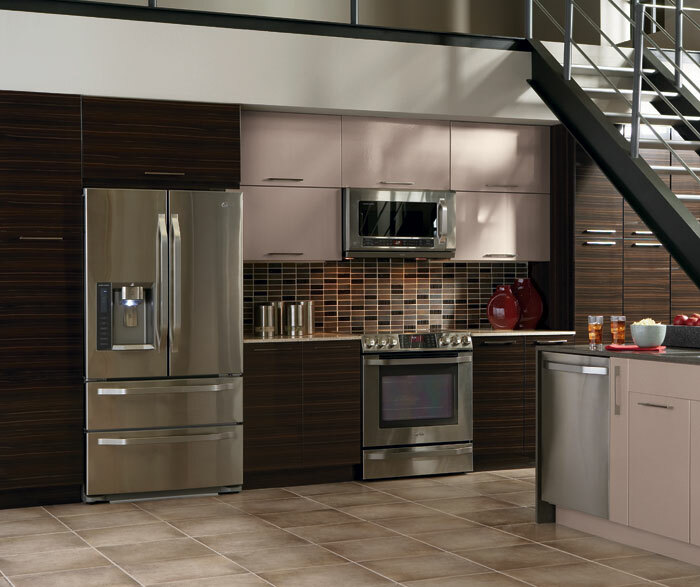 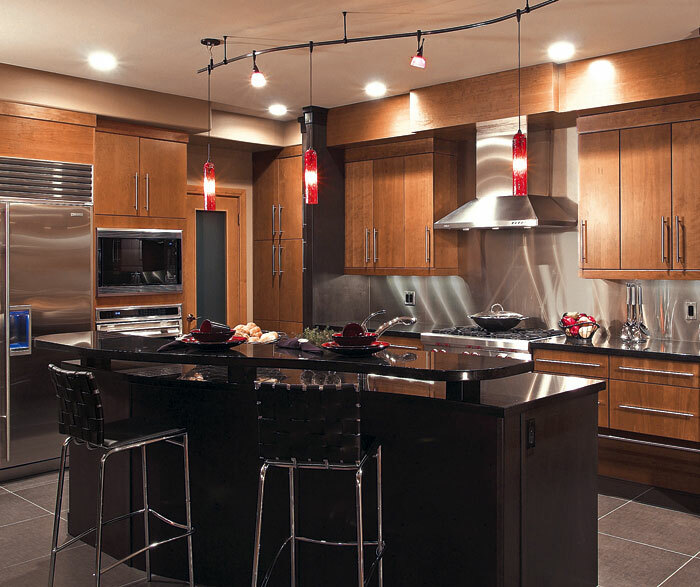 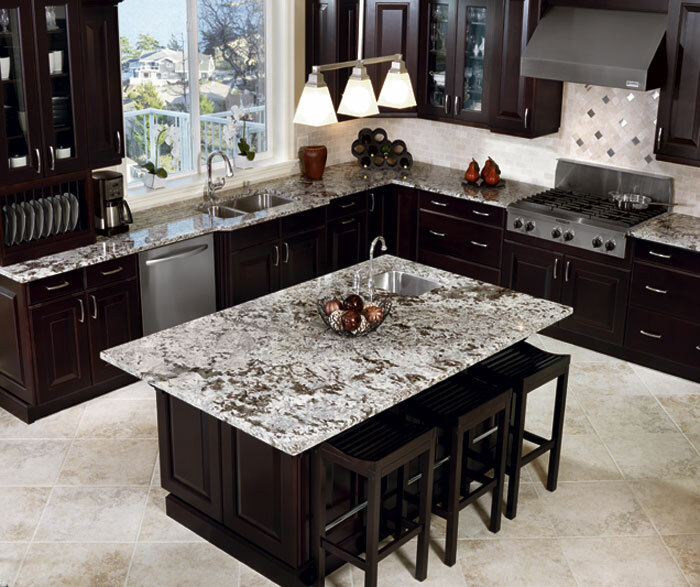 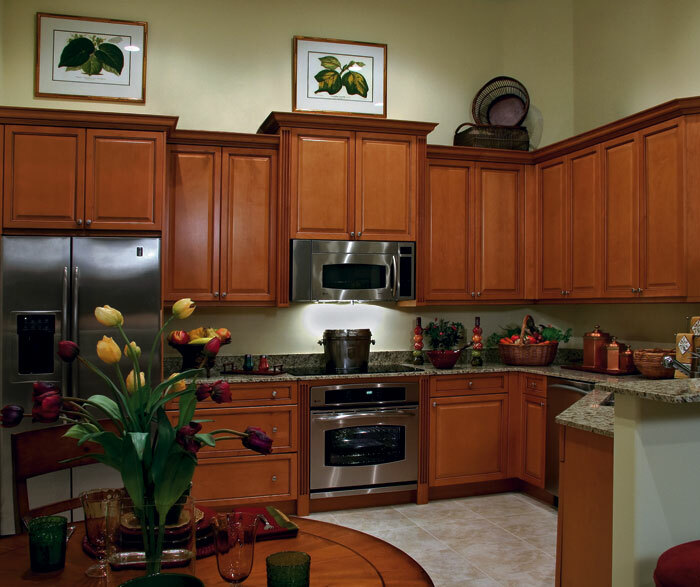 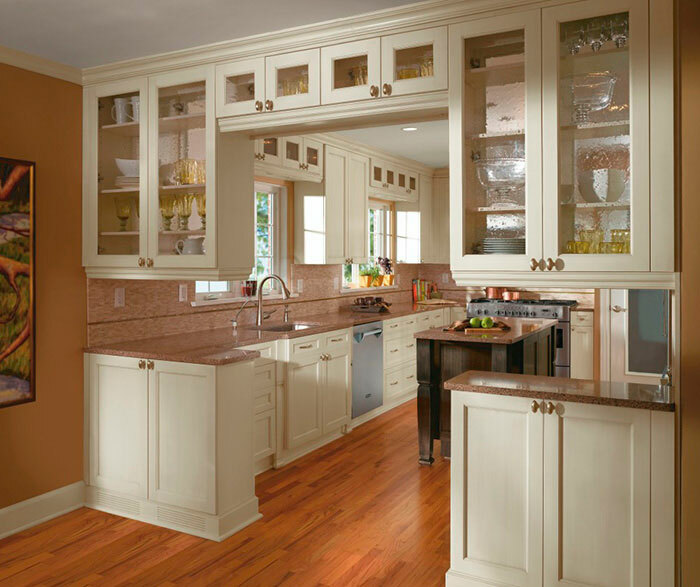 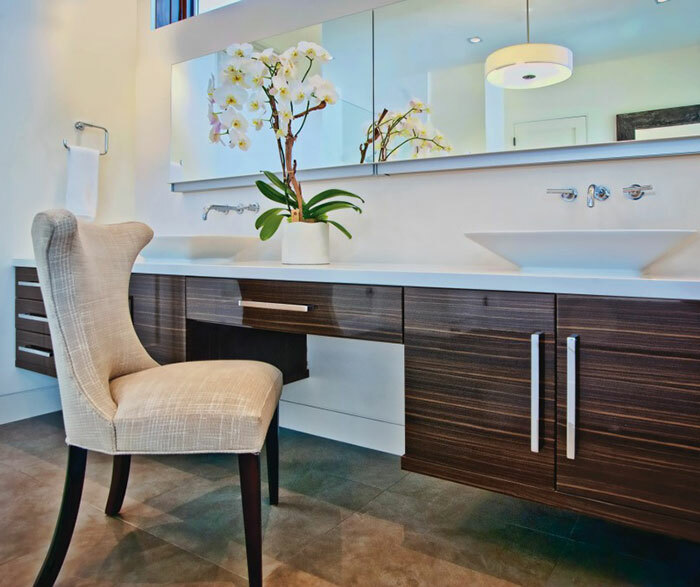 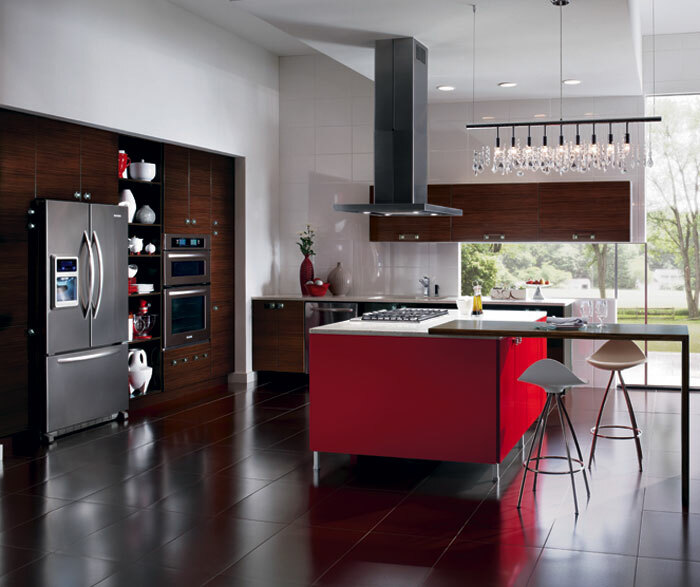 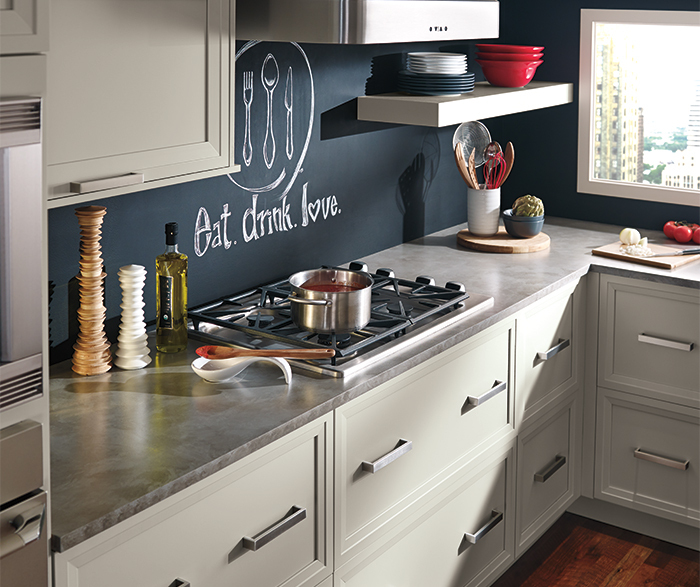 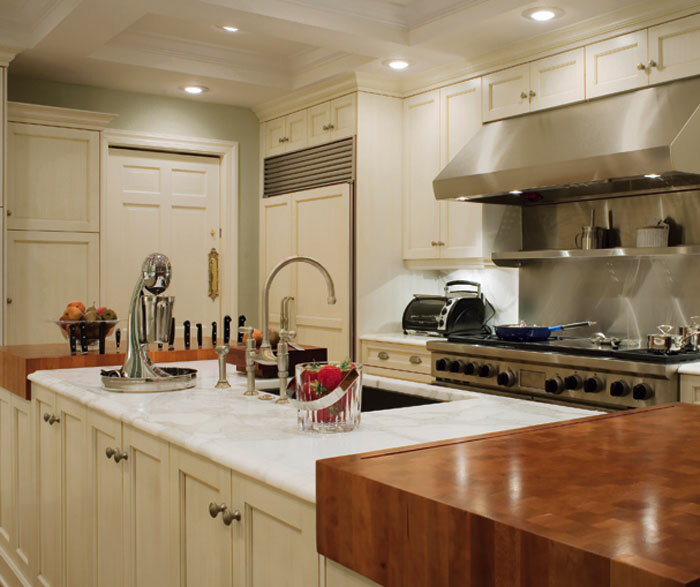 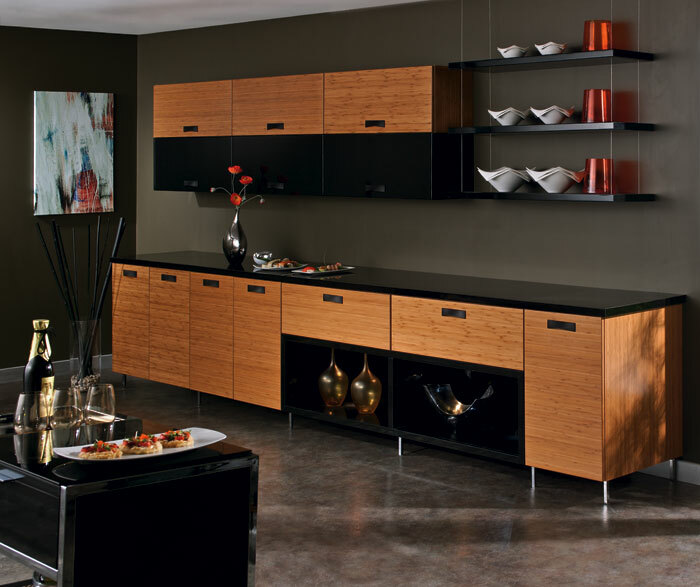 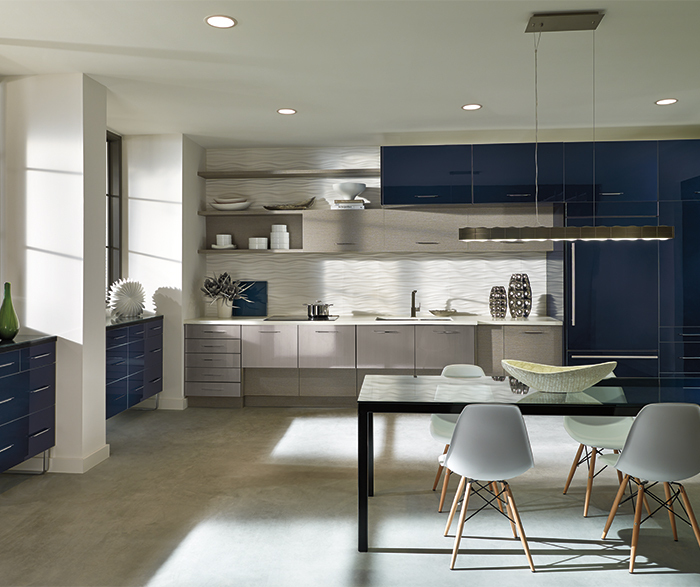 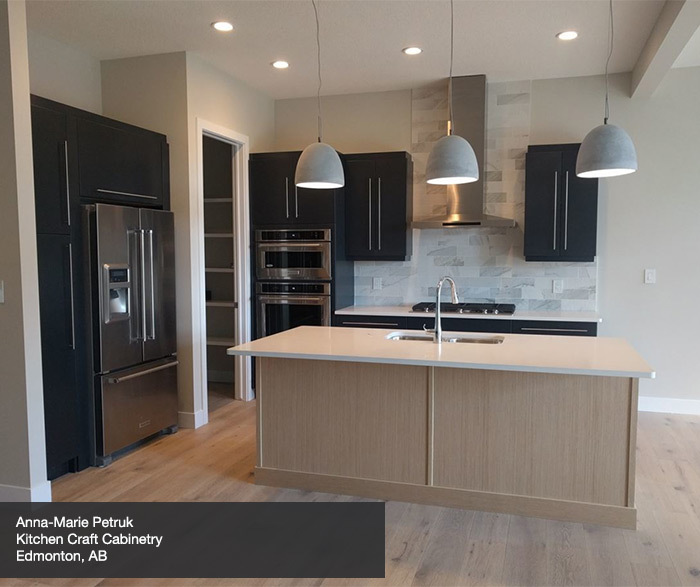 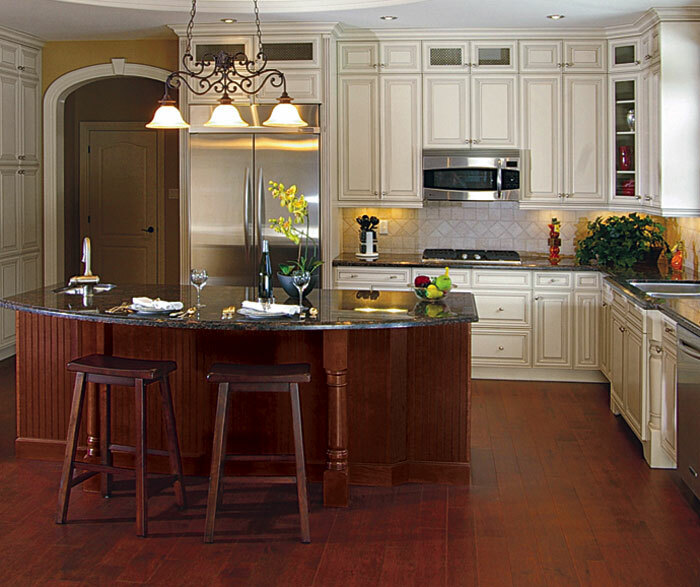 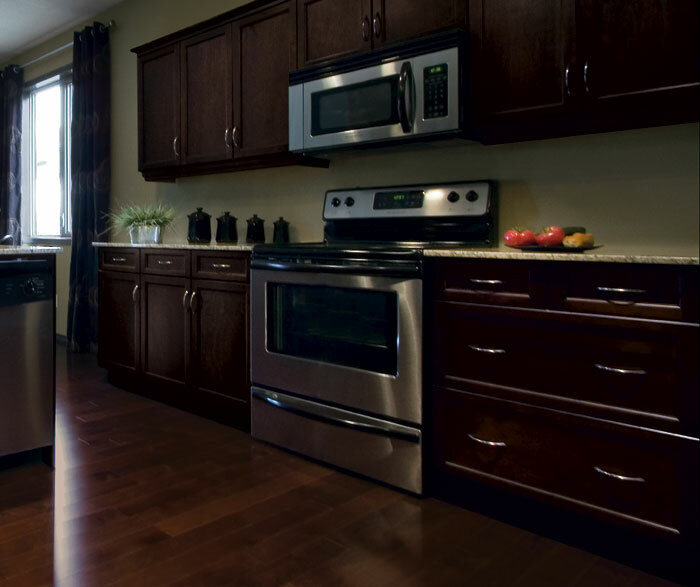 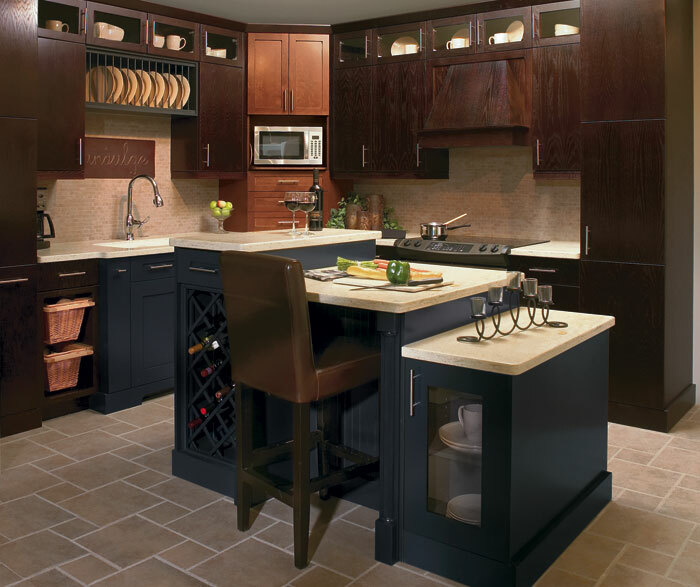 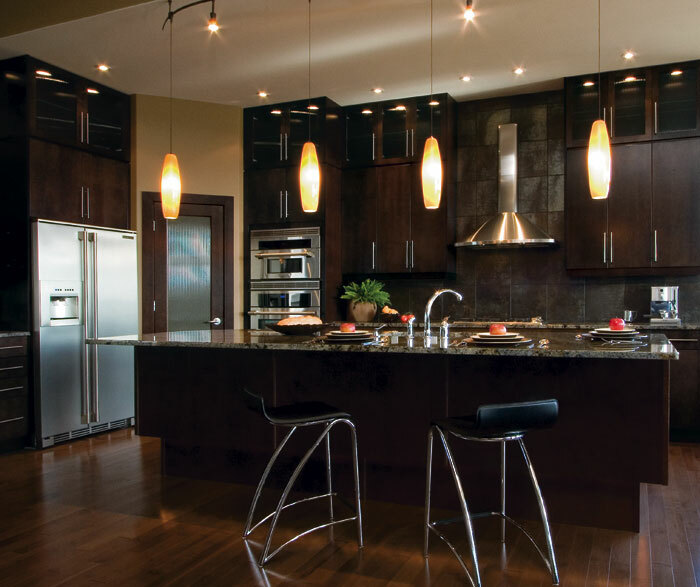 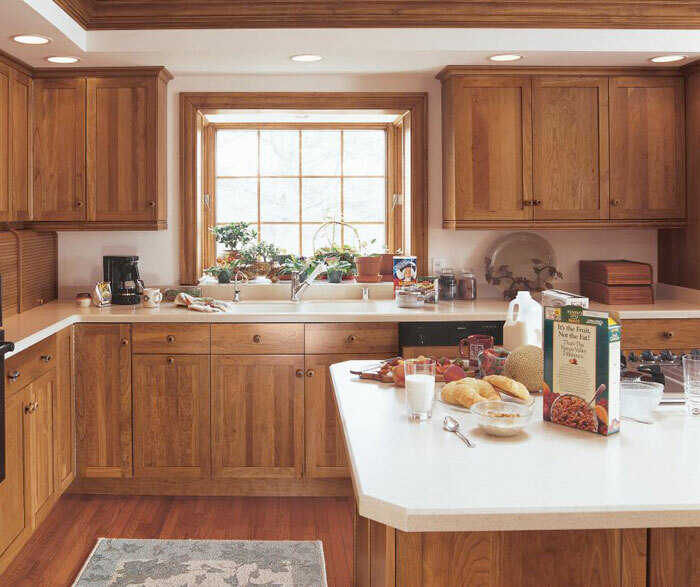 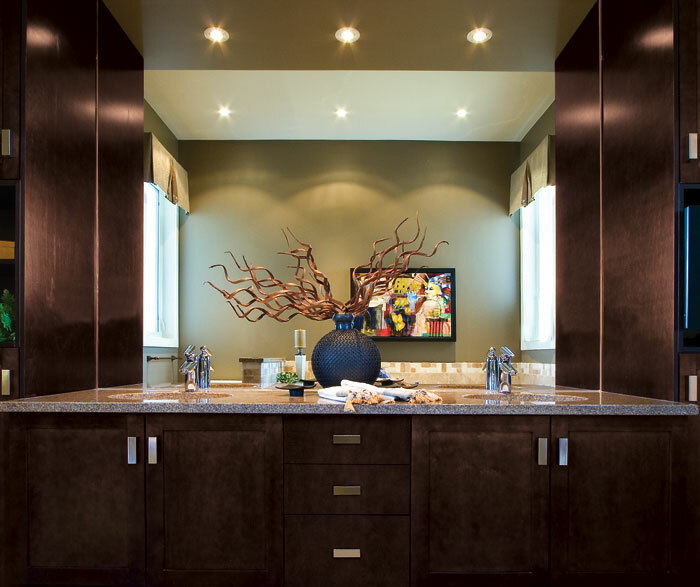 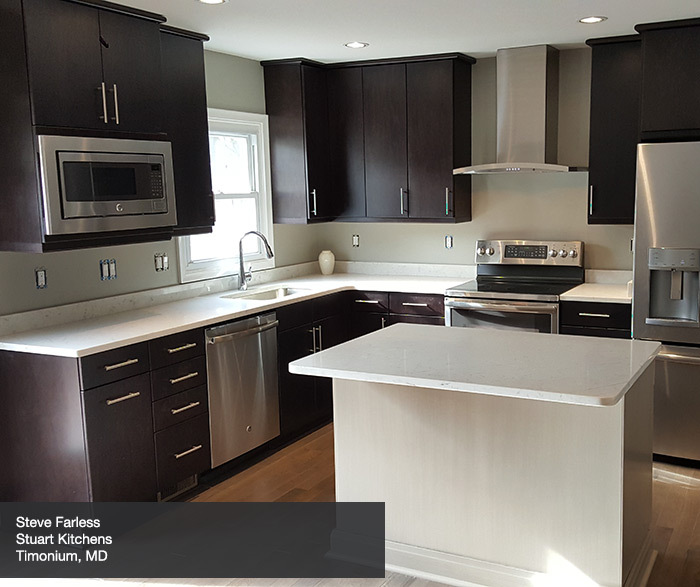 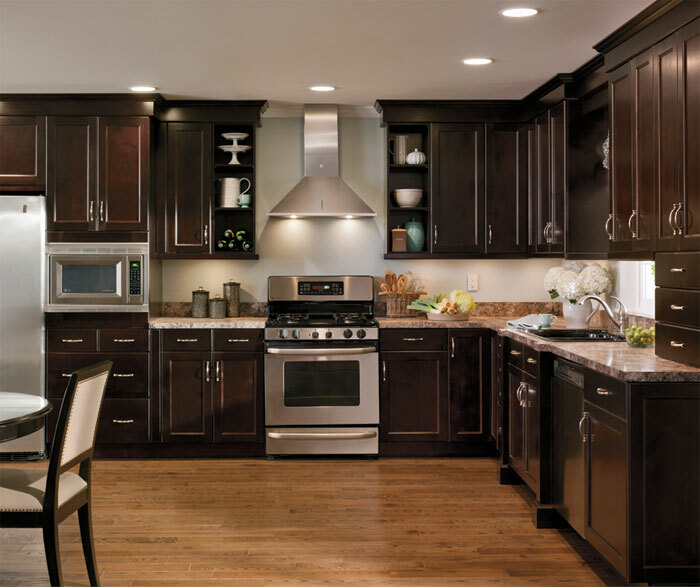 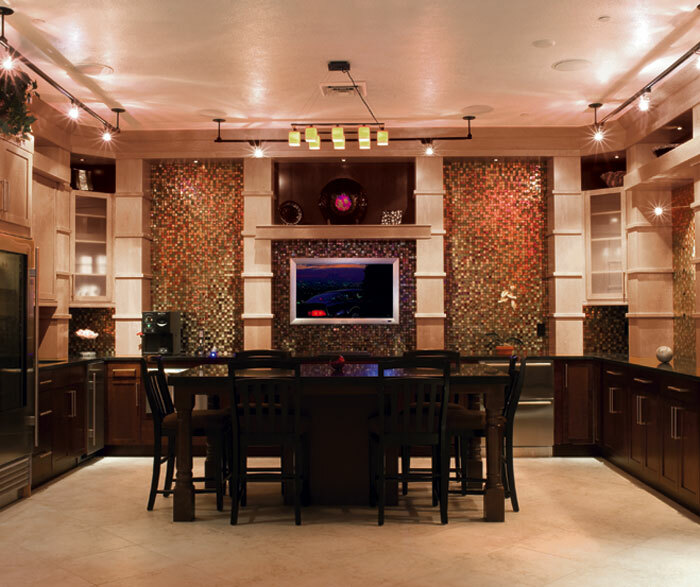 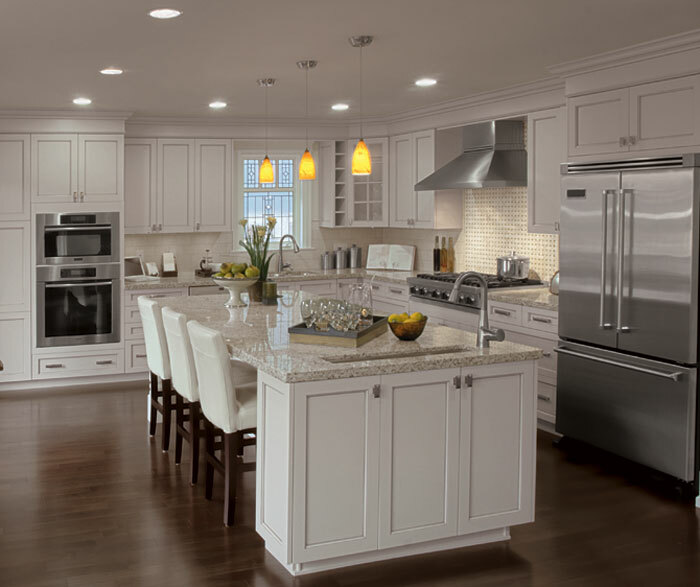 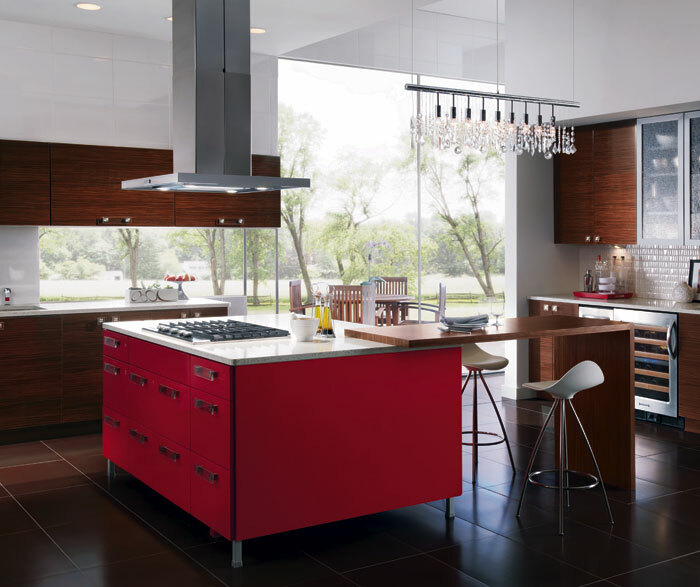 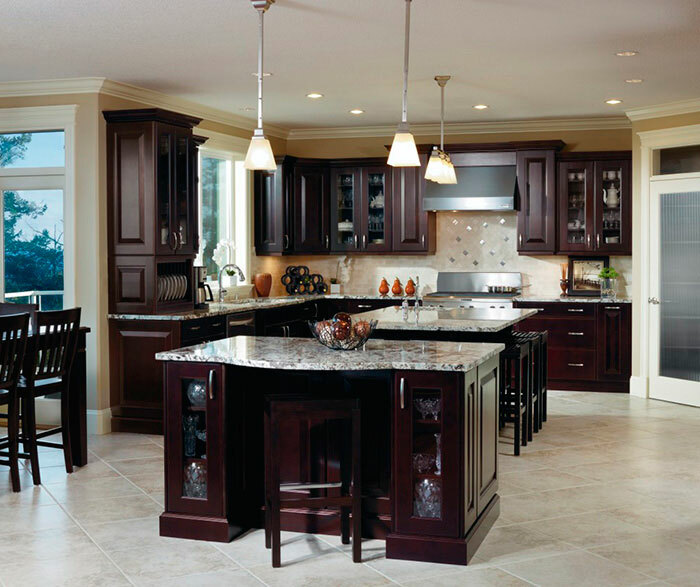 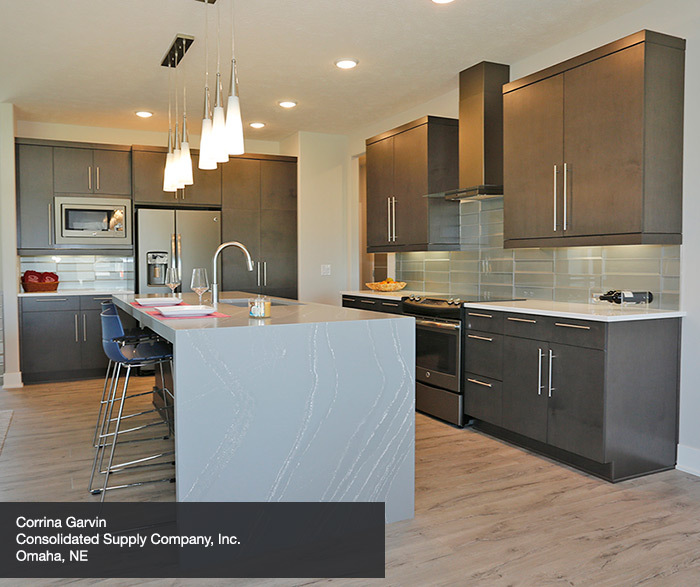 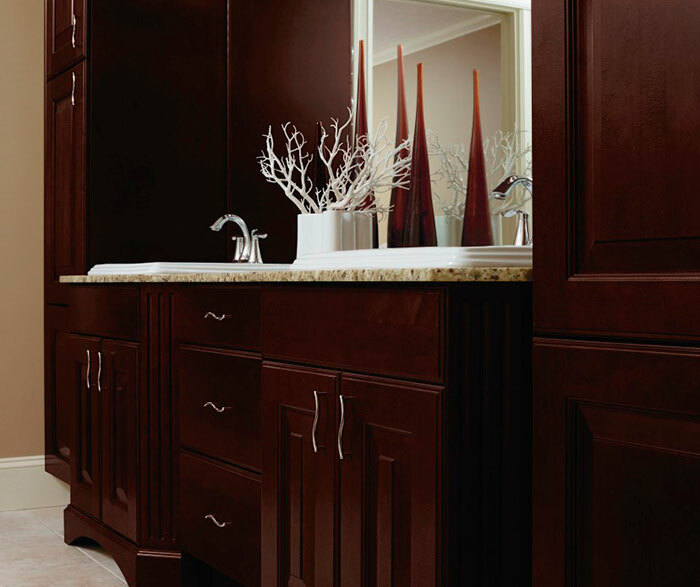 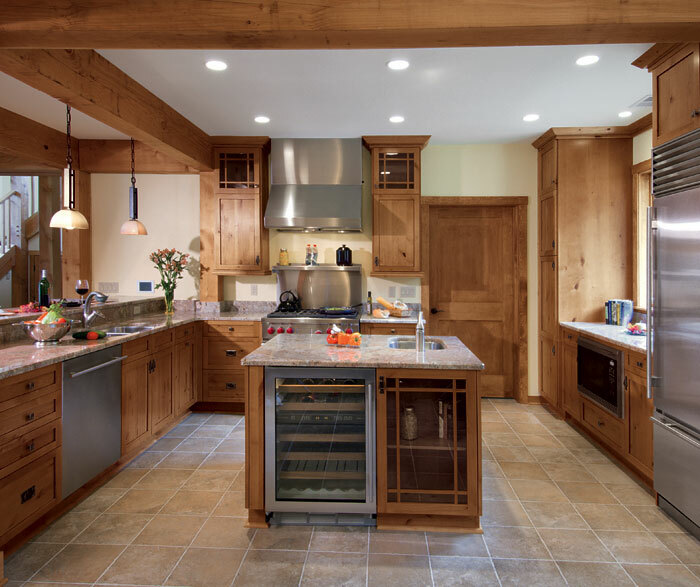 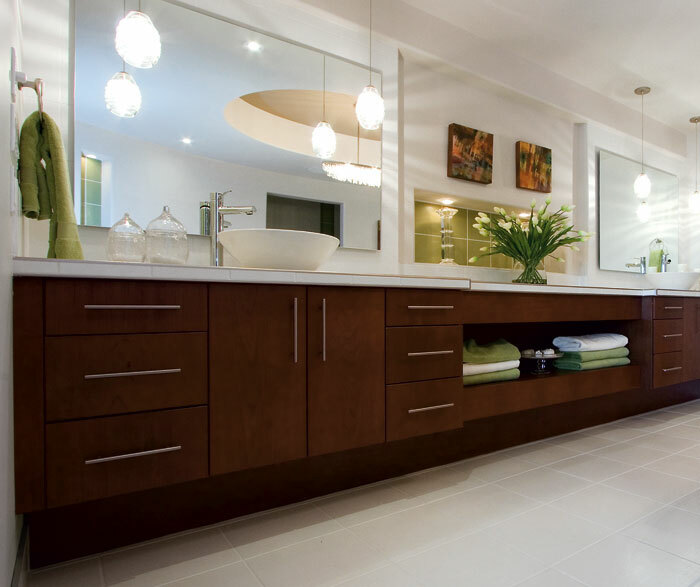 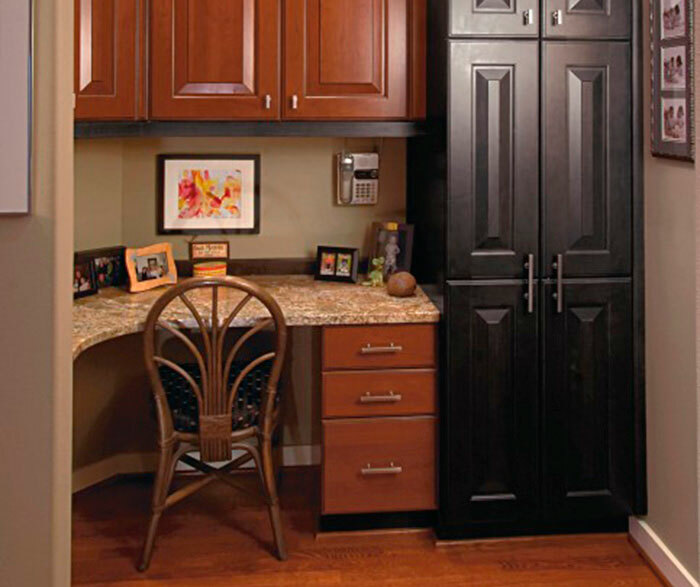 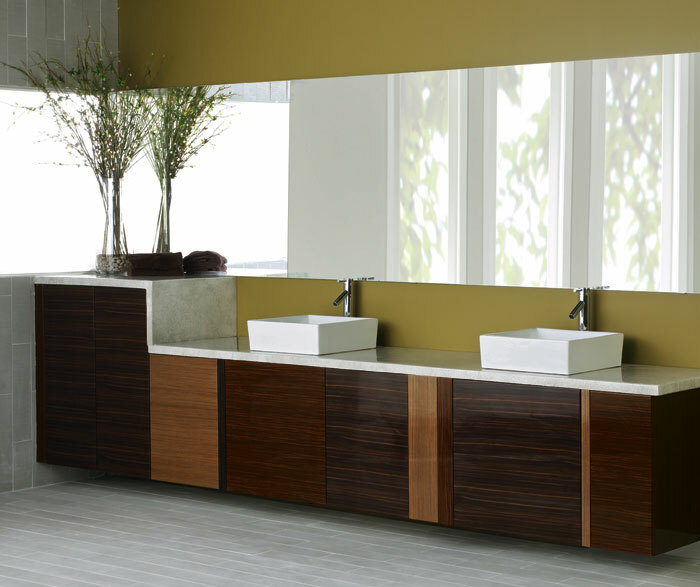 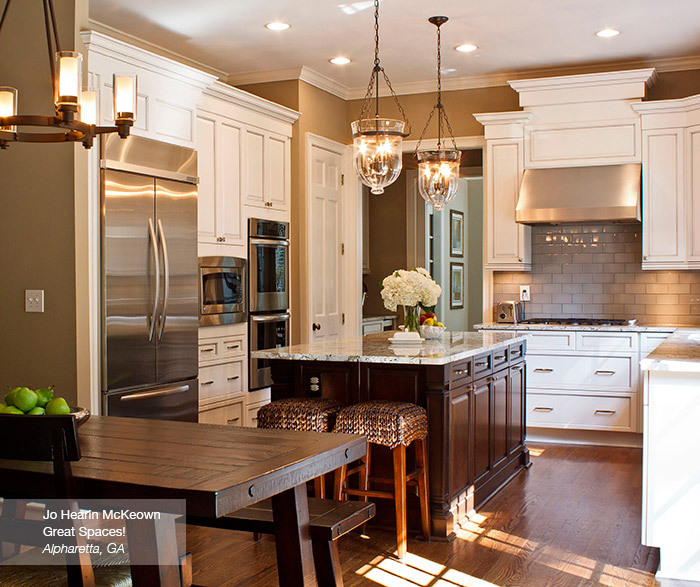 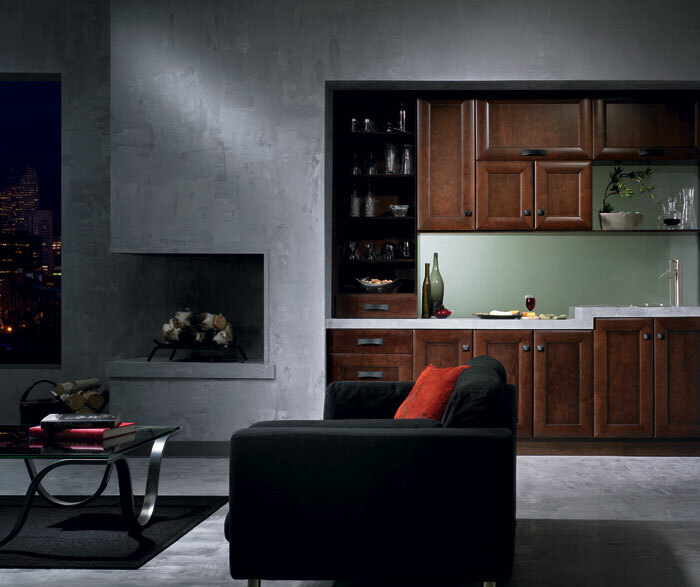 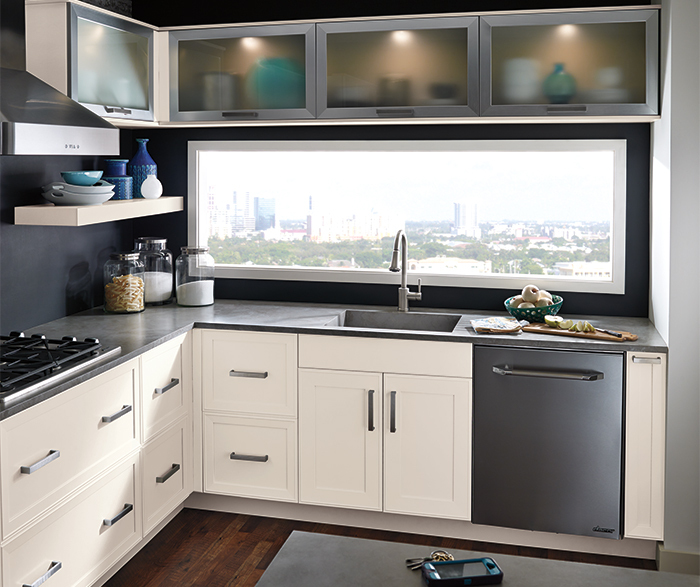 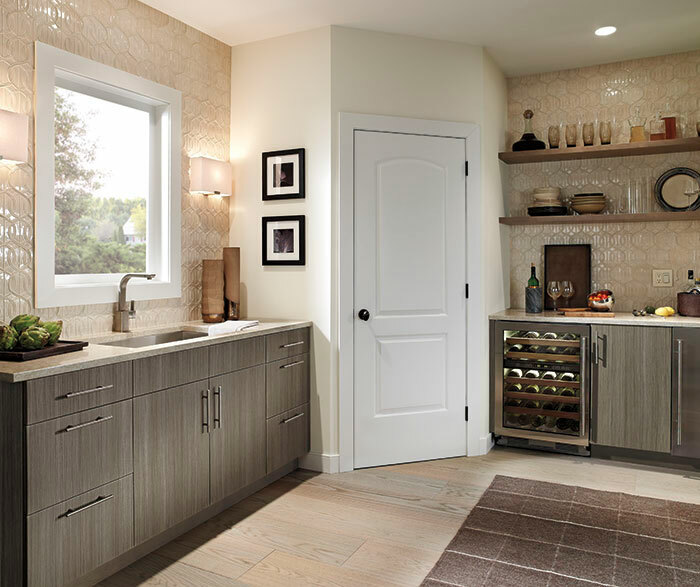 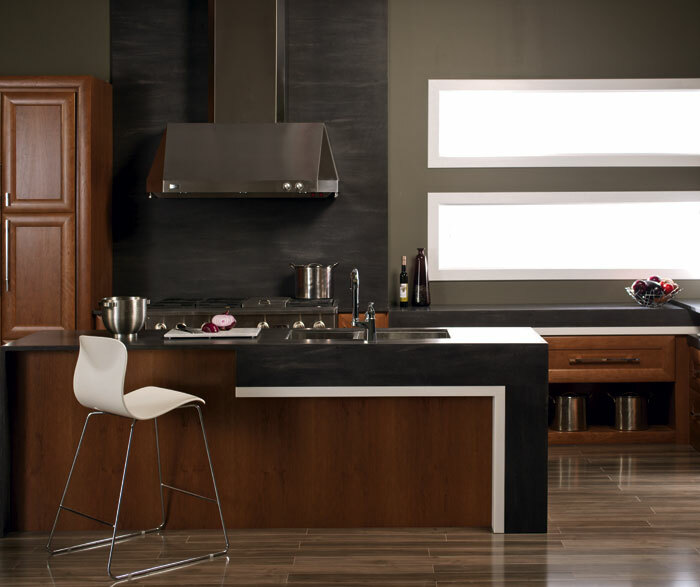 With its dark and dramatic motif, this Brookfield Cherry wood kitchen exudes modern warmth. 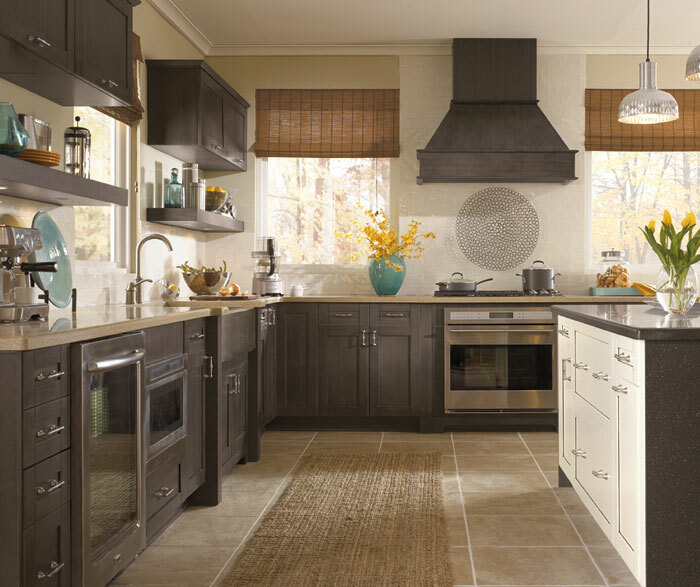 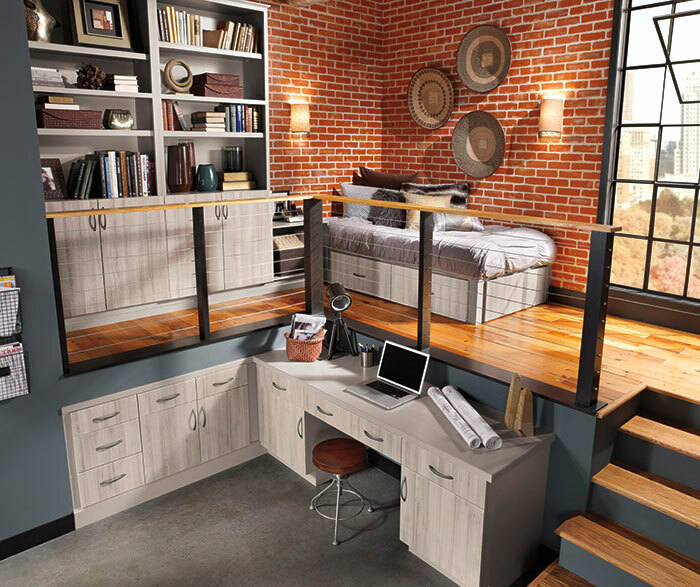 Rich Nutmeg finish with Black Glaze is paired next to Charcoal on Maple for added variation and drama. 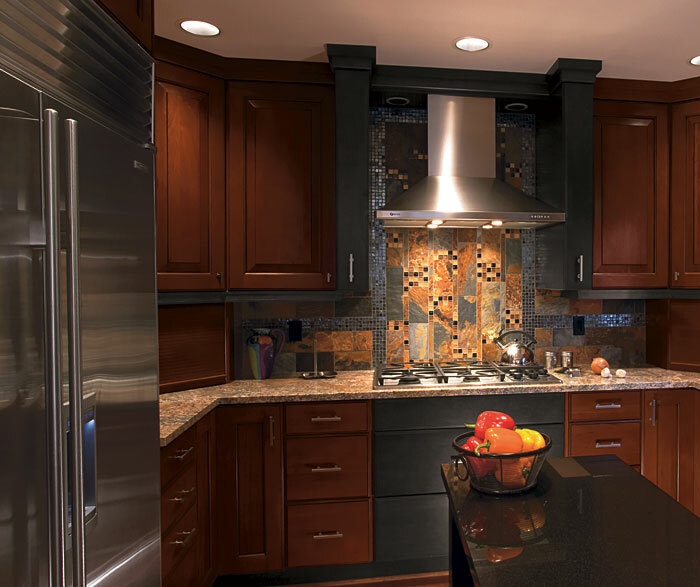 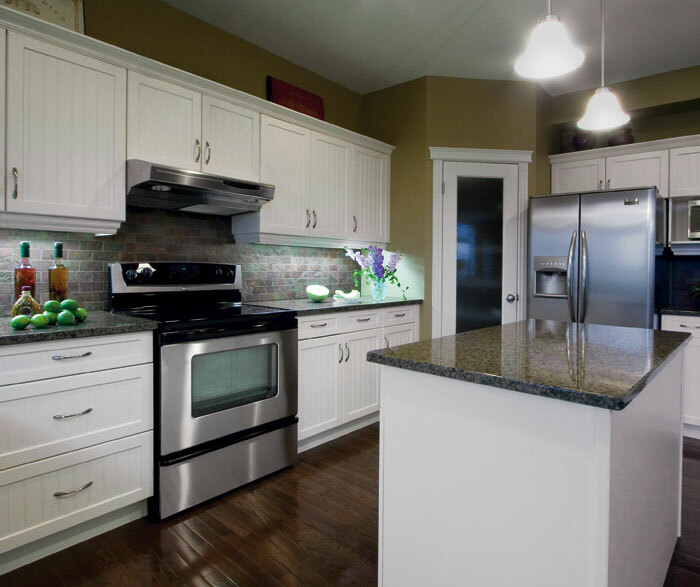 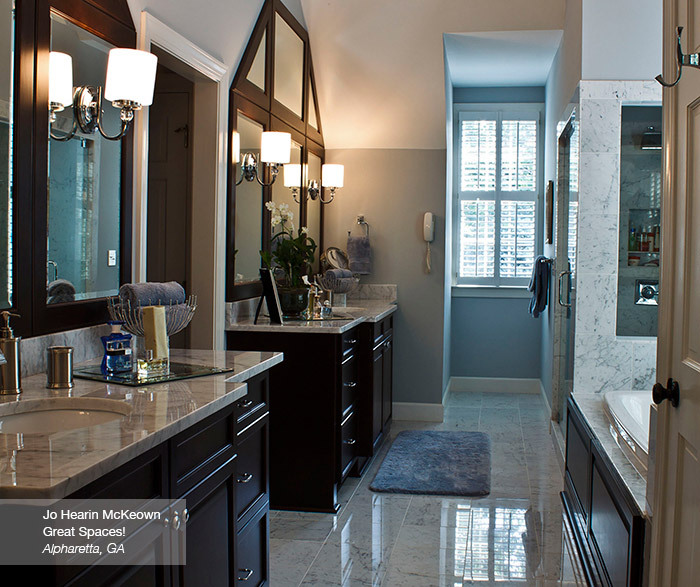 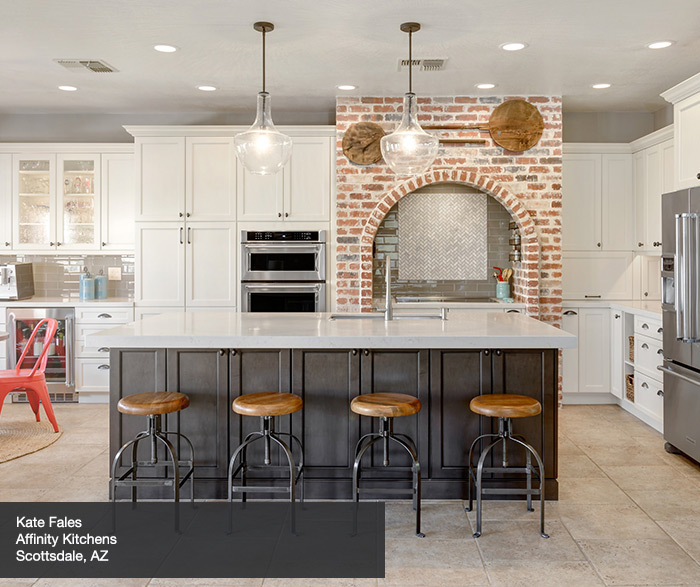 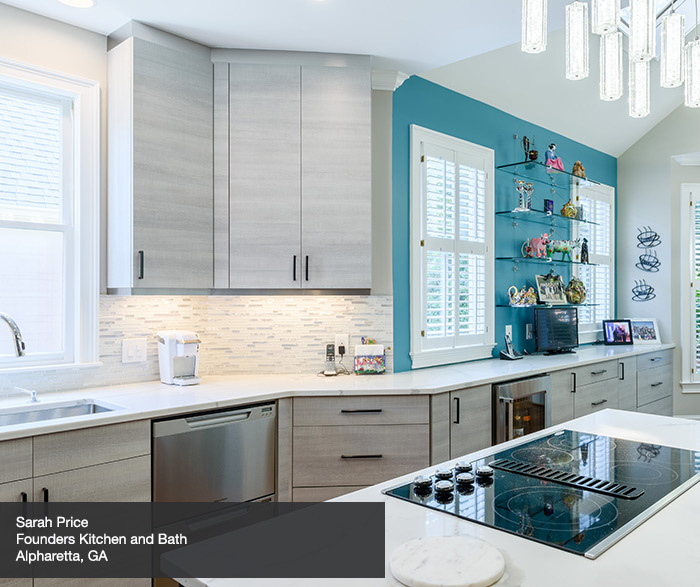 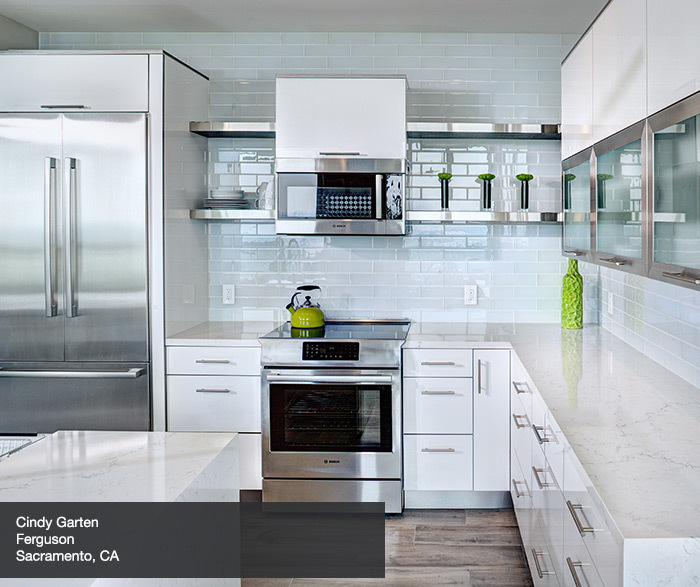 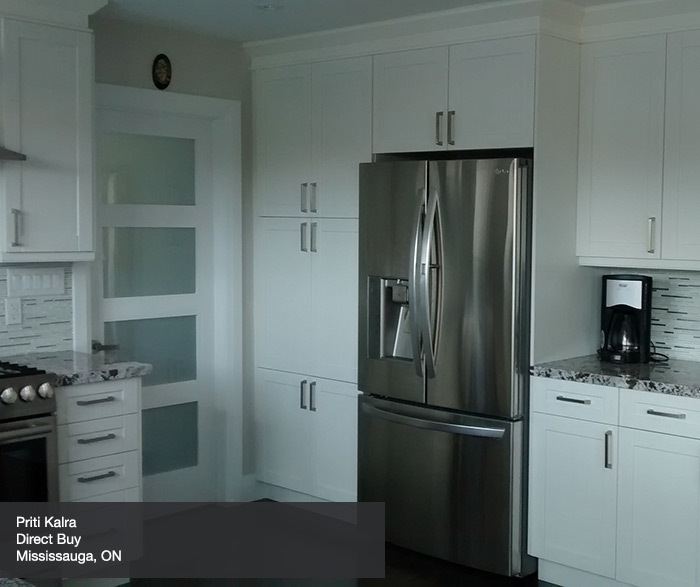 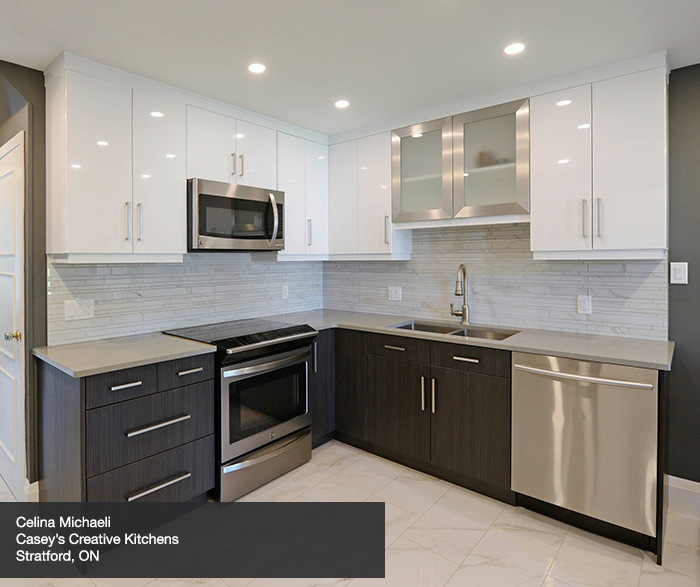 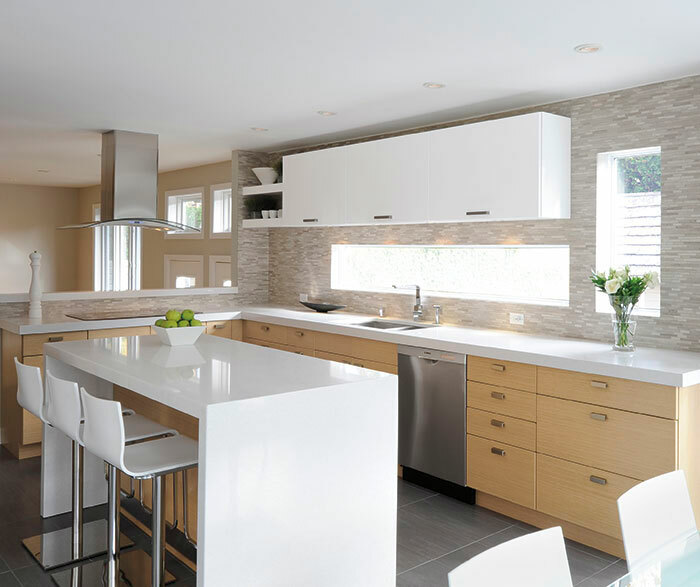 The stainless steel hood and tile backsplash, bookended with wall pullout cabinets, commands center stage.